Apple purchased AuthenTec almost a year ago, but there isn’t yet any confirmation whether we will see a Apple iPhone fingerprint scanner any time sooner or not. There have been too many signals indicating the long rumored feature being sported by the next Apple iPhone though this time around. When Apple iPhone features fingerprint scanner, it would not be just another feature, a toy or a gimmick. Apple plans to use it in a very serious way helping it to authenticate and secure mobile payments. Thursday morning, a release by the USPTO showed an application made by AuthenTec that was assigned over to Apple. 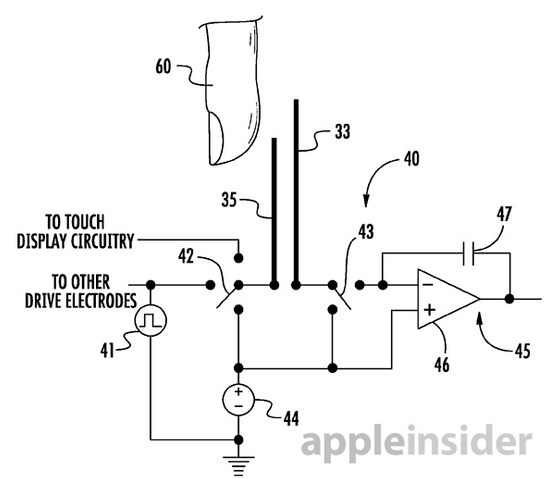 The patent detailed a technology that can be fitted inside an iPhone and will be capable of reading a fingerprint from longer distance than possible through other methods. The patent application shows the scanner will be placed inside the display – the rumors though suggest that the scanner would be placed inside the phone’s home button. This technology titled “Finger sensor having pixel sensing circuitry for coupling electrodes and pixel sensing traces and related methods,” has been invented by the AuthenTec co-founder Dale R. Setlak. The complex process of fingerprint scanning uses different metallization layers and a method for measuring electrical flux. 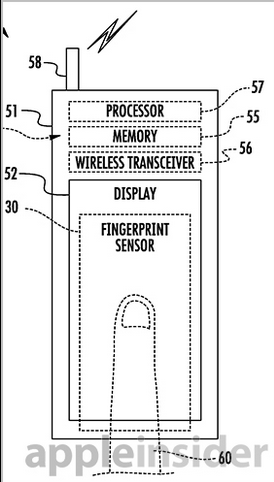 When not being used as a fingerprint scanner, the technology would be able to be used as a usual touchscreen. Earlier, the chief information security officer at PayPal also had said that we will be seeing multiple phones out this year with fingerprint readers. He also had hinted over the speculation involving Apple. Which makes many believe that the next Apple smartphone is a strong contender to introduce this feature. It is certain that we are going to see a fingerprint sensor eventually in the smartphones, replacing passwords and PIN codes. However, we are yet to see an actual smartphone successfully carry that feature outside the testing labs.